This is such a sincere piece, serene in every notion. It is a pleasure to read in the middle of summer, a reminder of the chill to come. It makes me think of the peace winter can bring. While I find winter usually depressing, this makes me look at it in such a more beautiful way, I feel quite optimistic in my understanding of cabin fever ahead. I always think when I read this poem about how snow blankets everything in white vastness. This poem to me- when it points out the mandala like shapes makes me think about how even though something seems a certain way, if we examine it close enough and come to a better understanding of all the little working parts… We can see past the emptiness we feel even in things like the dead of winter. Or situations that we have no control over for that matter. We can learn to examine the beauty in such a cold material and find that it holds many colors bouncing through it when it hits the light, many shapes when it is singled out, unique of course in every possible way. 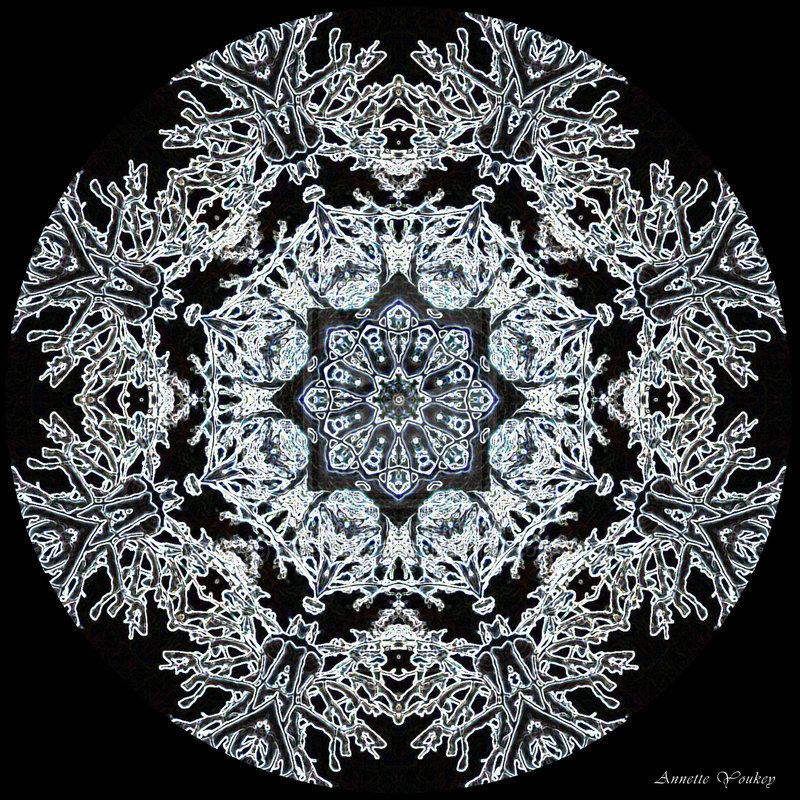 http://annesmandalas.deviantart.com/art/Snowy-Branch-Snowflake-Mandala-148222379< Credit to artist for snow flake mandala, Annesmandals. Next Next post: How to communicate better.